Interest rates seem to be very topical at the moment. 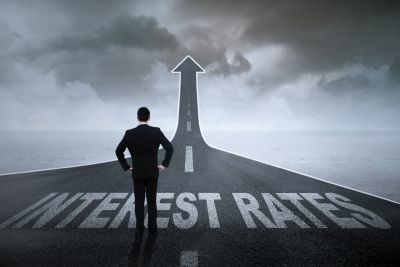 The Reserve Bank of Australia (RBA) Governor has recently warned us to expect that interest rates will continue to climb; this is in addition to several lenders announcing that they are looking to increase their mortgage rates regardless of what the RBA does. The Governor warned those who borrowed to the hilt during the period where interest rates were at their ‘emergency lows’. He recommended against borrowing too much to buy property, purely on the fact that interest rates will be rising. So what should you do in an environment where interest rates are still on the rise? Great question and every body’s situation is different. If you have had your mortgage for more than 3 years you would have benefited from the interest rates coming down – so what did you do with your repayments? Did you celebrate in having more cash to spend – and you spent it? Or did you take advantage of the reduction in rates and ploughed the savings back into debt? The easy option is just to take the extra money from your drop in repayments and spend it – much more fun. However, if you were to keep your mortgage repayments at the same level (i.e. not reducing them when rates drop), you would be accelerating the timeframe in which it will take to pay off your mortgage. Saving a little bit now will pay big dividends later. We sometimes refer to this concept as a ‘mental mortgage’ – you are paying the mortgage off like it has a higher balance. This concept is good for people that are looking to buy a house and get a mortgage as well as those who are upsizing their home and taking on more debt. It is a great exercise to see if you can save what your mortgage repayments would be with the proposed loan balance. In addition, you might also assume a higher interest rate, to ensure that if rates do climb, that you will still be alright and you can afford to buy bread and milk. It is a very expensive and an emotionally draining situation if you end up not being able to afford the house (and mortgage) that you have bought. You can use many of the financial calculators to review areas such as loan repayments, stamp duty and budgeting. This concept goes for investment properties and borrowing to buy shares as well. When you are calculating different scenarios, it is best to be conservative with income and inflate your expenses. This will give you some room to move if circumstances change. Many of us have debt, or if we don’t we certainly know someone that has. Here is a short, funny video that looks at the lighter side of debt. Remember, when you are ready, we have a learning module on Cashflow and Debt Management that is well worth a read. Before reading the module, you may like to test your knowledge with the Cashflow quiz or Debt Management quiz.